FOR CLIMATE ACTIVISTS, THE G20 SUMMIT WAS A MIXED BAG | "Global Possibilities"
The good, the bad, and the ugly of climate at the G20 Summit. On Monday night, the world’s biggest economies shook hands and pulled the curtain closed on the annual G20 summit in Hangzhou, China. And while climate change made headlines during the summit as two of the world’s biggest emitters officially joined the Paris climate agreement, climate and environmental activists are more concerned with what the G20 failed to consider than what it did. Still, despite disappointment from some climate activists, the meeting of the world’s 20 largest economies wasn’t a complete failure for climate action — and potentially set the stage for some big moves next year when the meeting heads to Germany. Here’s a quick rundown of the good, bad, and ugly climate news from this year’s G20 summit. 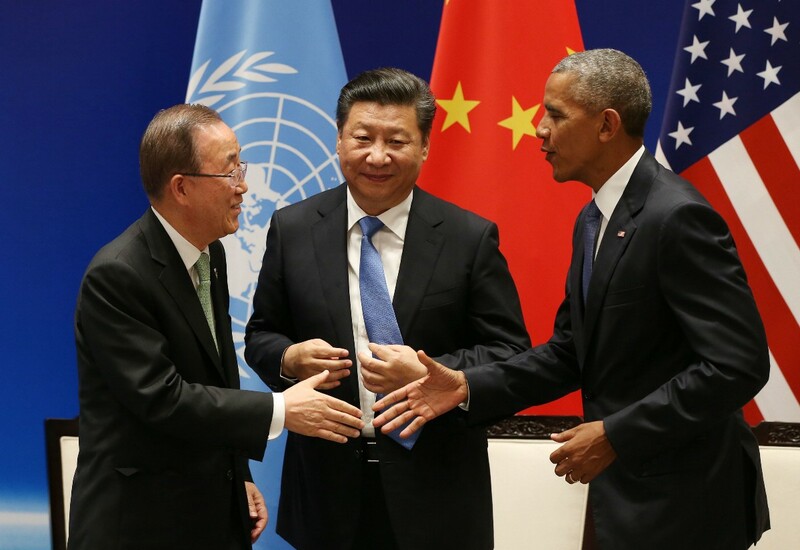 One of the biggest headlines to come from the G20 was news that the United States and China — the world’s largest historic emitter of greenhouse gases and the world’s largest current emitter of greenhouse gases, respectively — formally joined the Paris climate agreement, a historic agreement forged last December by nearly 200 nations that pledged to keep the world well under 2 degrees Celsius of warming. That’s big news, because while the pledge was officially signed by a record 175 nations last April, on the opening day of the agreement, the agreement doesn’t become effective in the eye of international law until it “enters into force,” which requires at least 55 countries representing at least 55 percent of global emissions to both sign the treaty and approve it domestically. 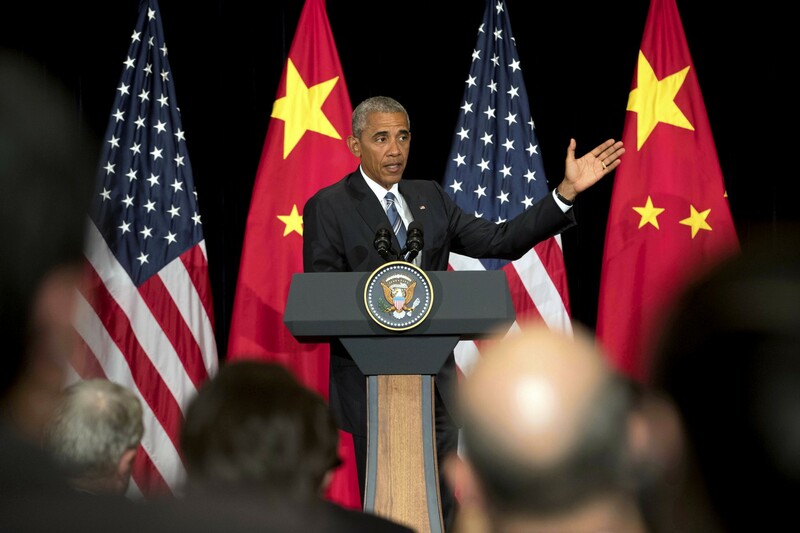 Those requirements are why the United States and China joining the pact is such a big deal — together, they account for 38 percent of global emissions, so with the two already committed, the world doesn’t have very far to go before the Paris agreement enters into force. Right now, 26 countries accounting for 39 percent of global emissions have formally joined the agreement, and Climate Analytics estimates that enough countries will join the agreement to make it binding by the end of 2016. If the agreement enters into force before 2016, it becomes much more difficult for whichever administration takes over the White House in 2017 to walk back on the deal. If Hillary Clinton is elected, that won’t really be an issue — she has praised the Paris agreement and spoken about how important it is to enforce it when in place. But if Trump is elected, he could ostensibly try to back out of the deal, something he has alluded to multiple times in the past. If the agreement has entered into force, however, the U.S. could not, under international law, withdraw until the agreement had been in effect for two years, and even then, that withdrawal wouldn’t go into effect for another year. That means that a Paris agreement that goes into effect by the beginning of 2017 would be Trump-proof until 2020. Despite two of the world’s largest emitters formally entering into the Paris agreement — and the agreement itself being that much closer to coming into force globally — the G20 summit failed to set a timeline for when the agreement must be ratified. In the official communique adopted by leaders at the summit, nations agreed to “ complete our respective domestic procedures in order to join the Paris Agreement as soon as our national procedures allow.” And while the communique “[welcomes] those G20 members who joined the Agreement and efforts to enable the Paris Agreement to enter into force by the end of 2016,” it doesn’t actually say anything specific about adopting the agreement by the end of the year. According to the Indian Express, India’s chief negotiator at the summit pushed for the exclusion of strict deadlines in the communique, arguing that the country was not prepared, domestically, to ratify before the end of 2016. That’s not necessarily the end of the world, but it does leave the agreement hanging in the balance —India is one of the world’s top emitters, but there are pathways to ratification even if India doesn’t enter the agreement before 2016 (the World Resources Institute outlines those possibilities here). A vague timeline, however, is bad news both for activists in the United States, who want to shore up the agreement before a potential Trump presidency, and developing and low-lying nations, which will bear the brunt of climate change’s consequences. Just days after the G20 wrapped up, a handful of small, low-lying island nations convened for the the Pacific Islands Forum’s Smaller Island States meeting. After the meeting, Dr. Hilda Heine, President of the Republic of the Marshall Islands, released a statement reinforcing small island nations’ commitment to ratifying the Paris agreement as soon as possible. 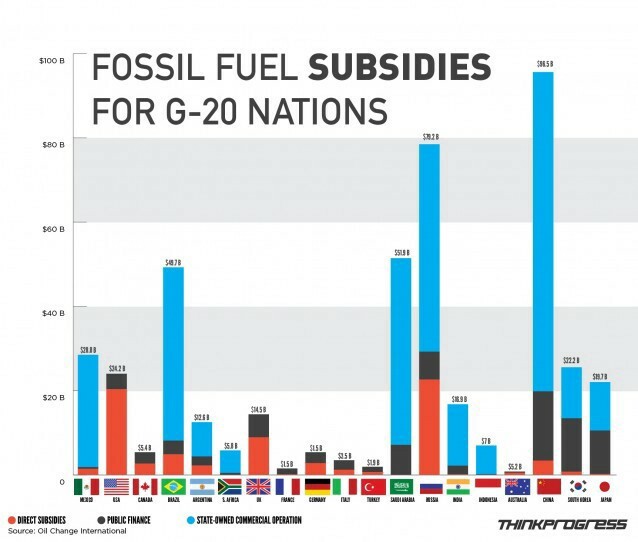 Perhaps the most disappointing news out of the G20 for many climate activists was the failure by leaders to set a clear timeline for ending state subsidies for fossil fuels, something that the G20 first agreed to do back in 2009. In May of this year, world leaders at the G7 summit reaffirmed this goal, calling for an end to fossil fuel subsidies by 2025. Yet, as the G20 summit came to a close, no action was taken on making these pledges a reality. According to a 2015 report from Oil Change International, members of the G20 spend more than $400 billion dollars a year subsidizing fossil fuel production, through means like providing tax breaks for fossil fuel companies or publicly financing fossil fuel projects. Since 2009, G20 communiques have committed to ending the practice in the “medium term” — but with the Paris climate agreement looking to go into effect within the year, activists are pushing even harder for an end to fossil fuel subsidies. Several studies have argued that to avoid more than 2 degrees Celsius of warming — the maximum limit set by the Paris agreement — the majority of the world’s fossil fuels will need to remain in the ground. And while the Guardian noted in May that fossil fuel subsidies are generally falling among the world’s largest economies, some countries are going in the opposite direction by opening up new tax breaks or extending existing subsidies for fossil fuels. The United States has increased its fossil fuel subsidies 35 percent since 2009, even as the Obama administration has tried to cut those subsidies from the budget. In the United Kingdom, fossil fuel subsidies increased by over a billion Euros in 2015, as the country created new tax breaks for North Sea oil and gas production. Campaigners now look to Germany in 2017, which will host the G20 Summit. They hope that Germany — which has increased its renewable electricity capacity from 6.6 percent in 2000 to 34 percent in 2015 — can act as a leader in pushing the G20 to adopt a strong timeline for phasing out subsidies, perhaps as early as 2020. But Germany’s own relationship with fossil fuels is complicated: while renewable energy has grown, coal consumption has barely declined, due in part to the decommissioning of several nuclear power plants and the need for a comparably cheap source of energy. As with implementing a clear deadline for ratification of the agreement, India was also seen as a key barrier to accepting a deadline for the phaseout of fossil fuel subsidies. In another interview with the Indian Express, India’s chief negotiator said that while the country has “done quite a bit” to cut fossil fuel subsidies, including placing a tax on petroleum products, the country could not end subsidies for cooking gas or coal-fired electricity for farmers.